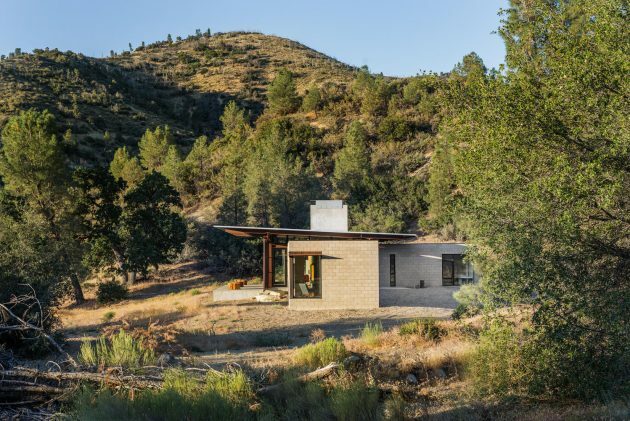 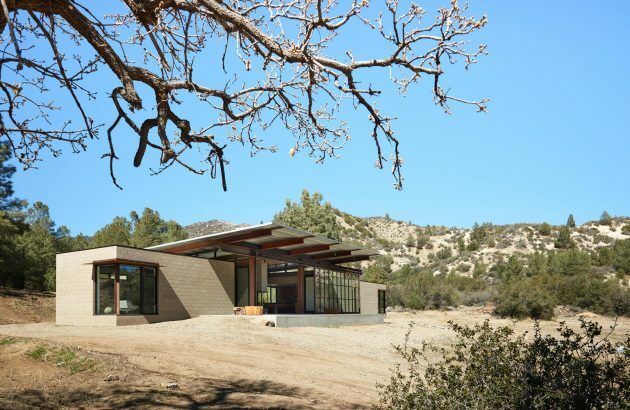 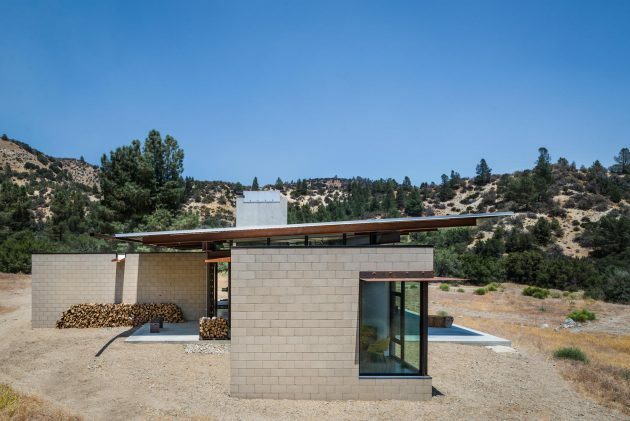 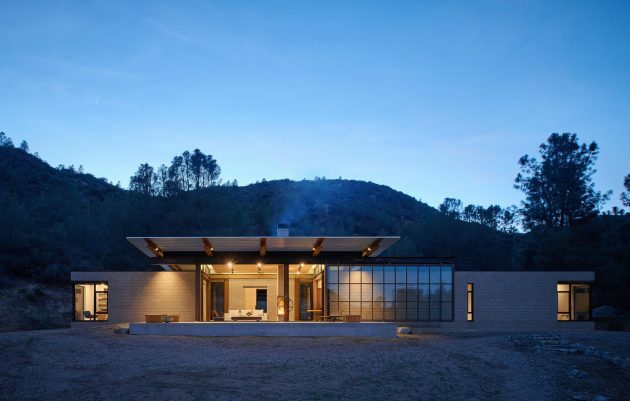 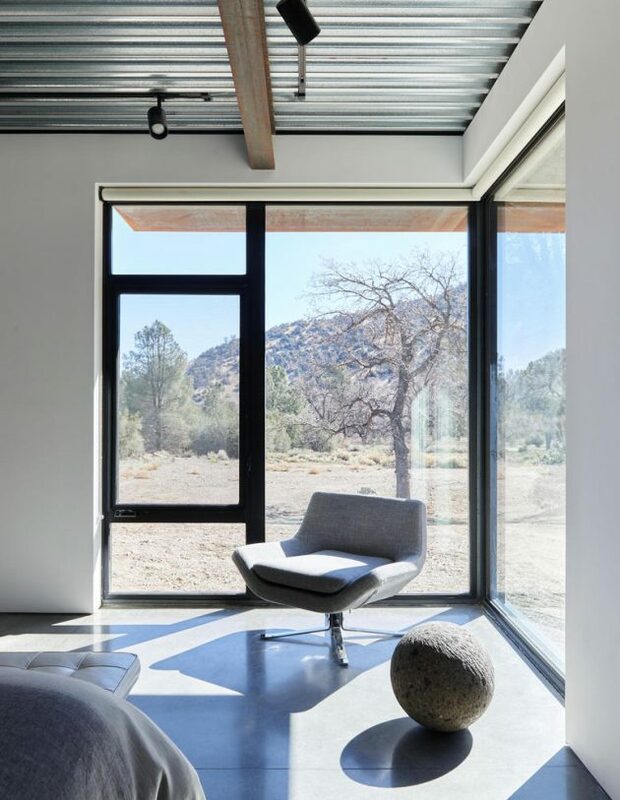 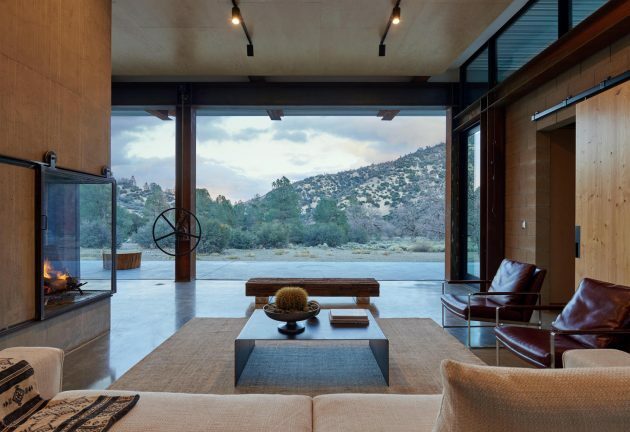 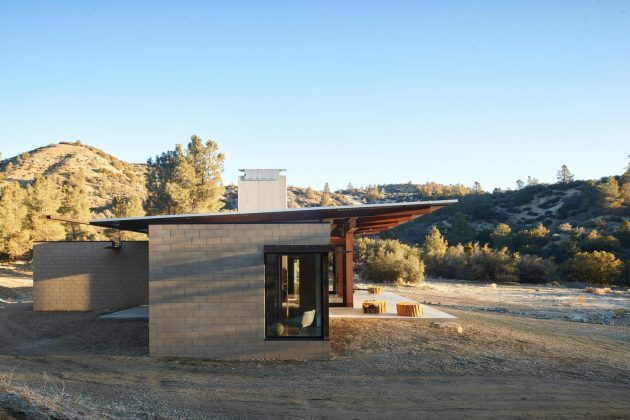 The Sawmill Retreat is an off-the-grid residence located in Tehachapi, California. 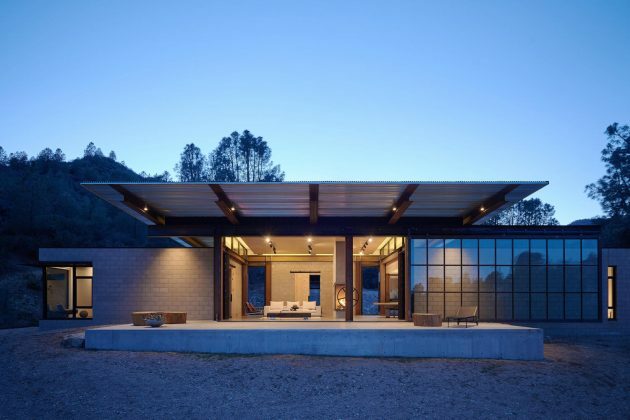 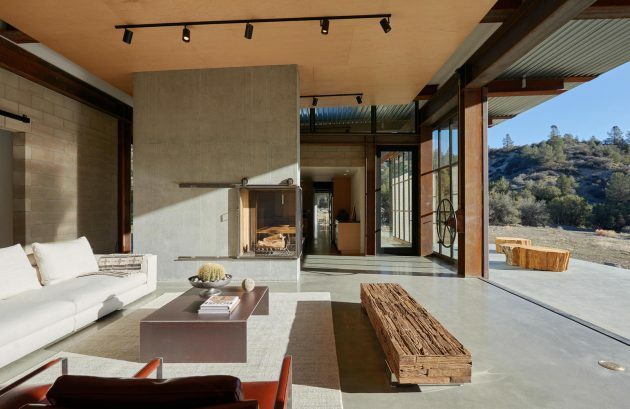 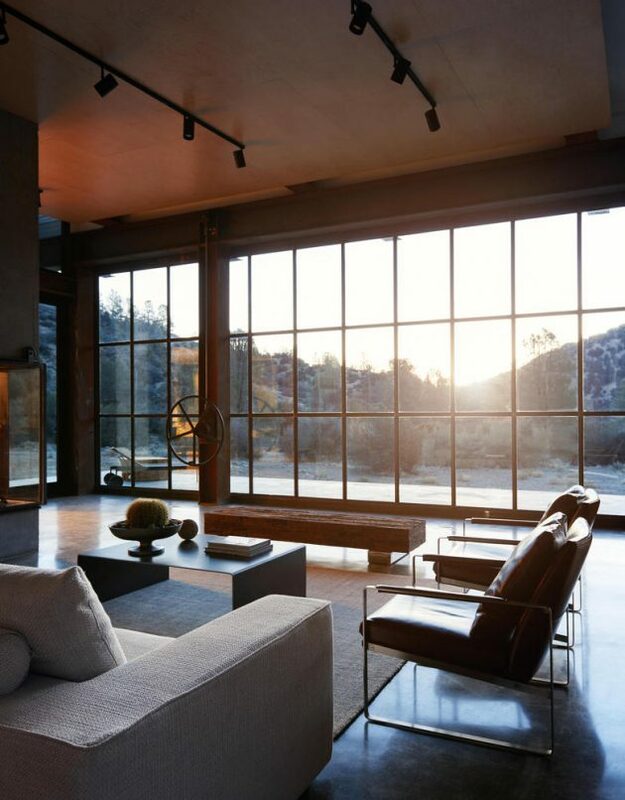 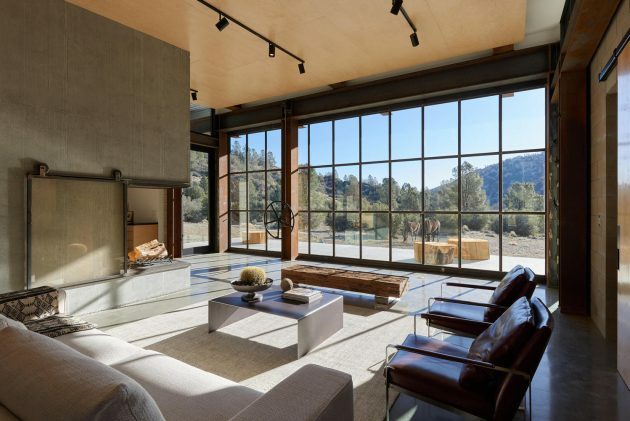 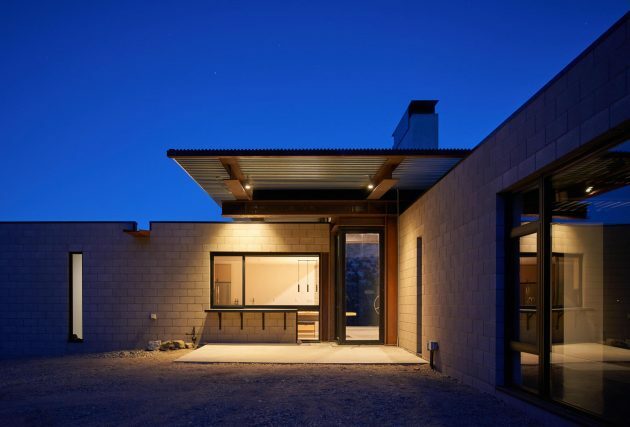 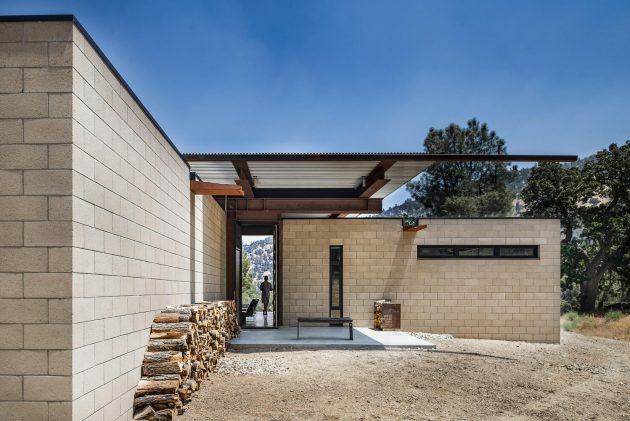 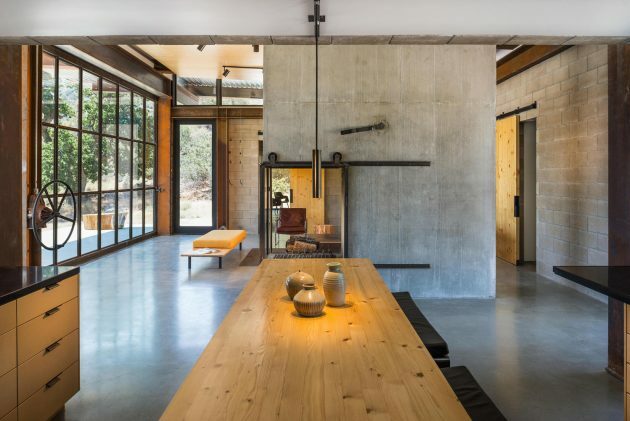 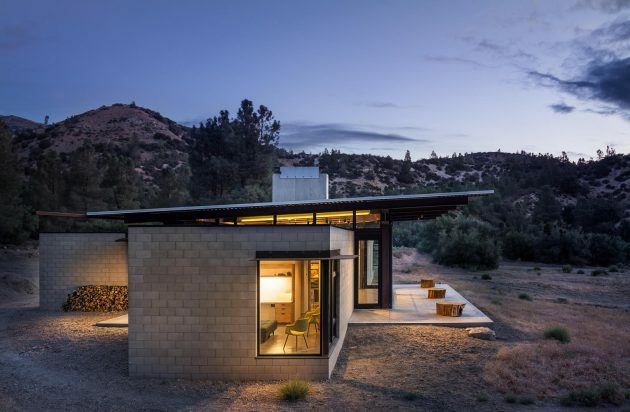 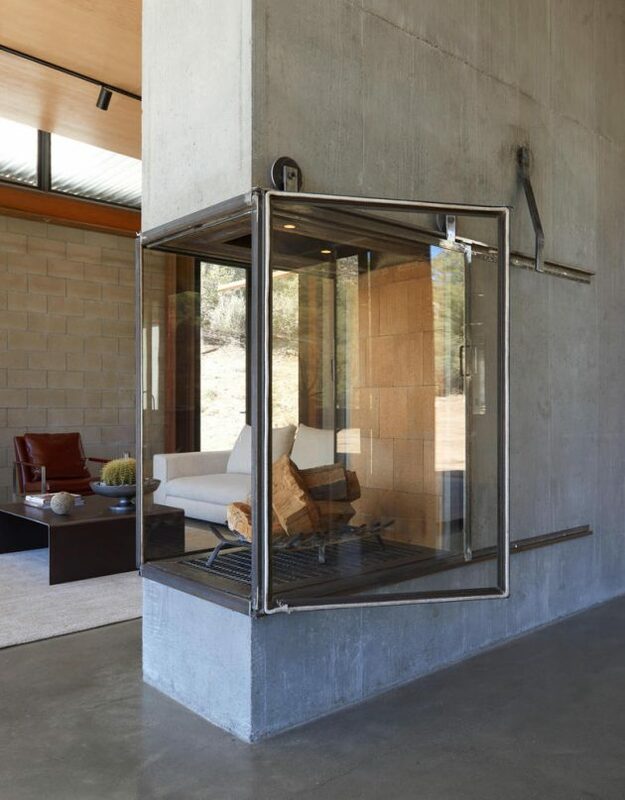 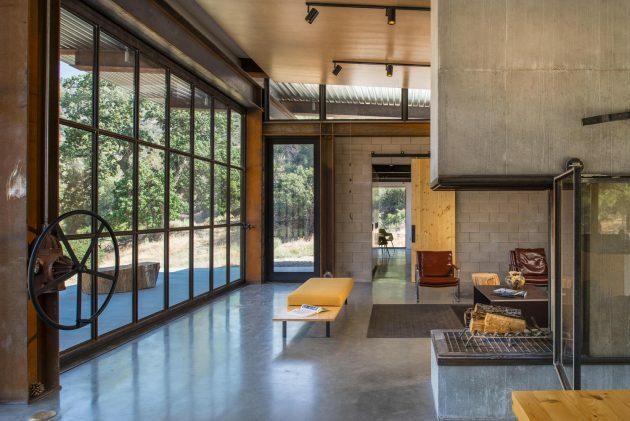 It was designed by Olson Kundig Architects, a studio that might sound familiar to you from a recent showcase that we made on their Rimrock Residence project. 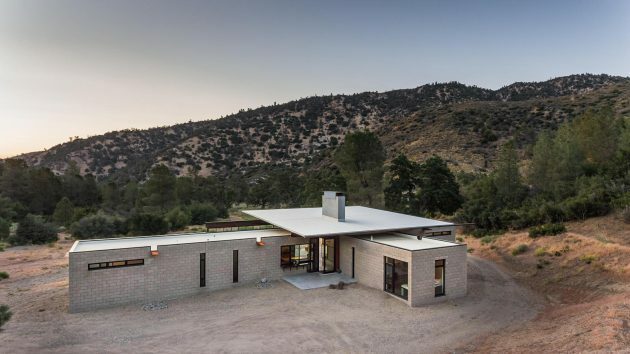 However, the area of the Tehachapi Mountains in which the home was to be built has an extreme environment susceptible to forest fires. 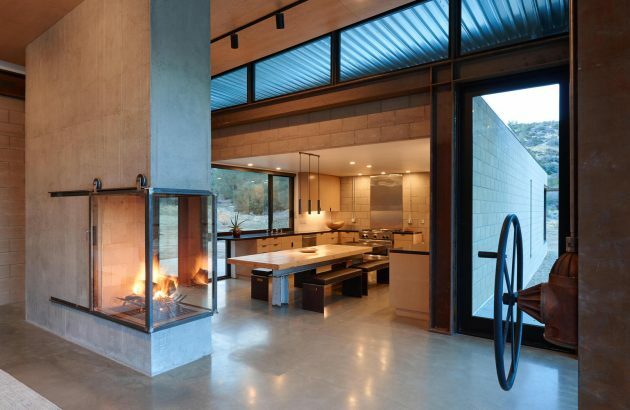 This played a major role in the material choice. 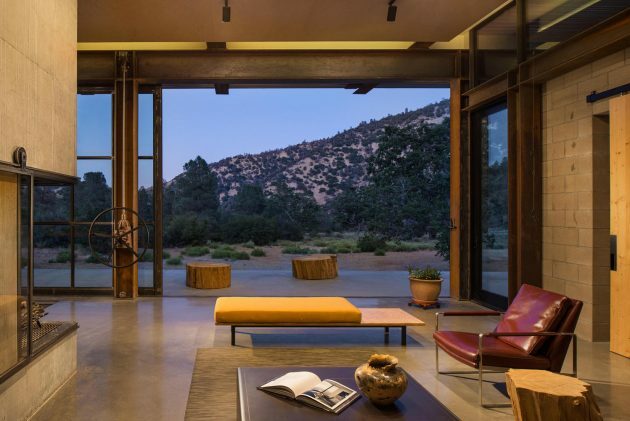 The rest of the design follows a simple scheme, including a central social areas and plenty of separate private areas for everyone.